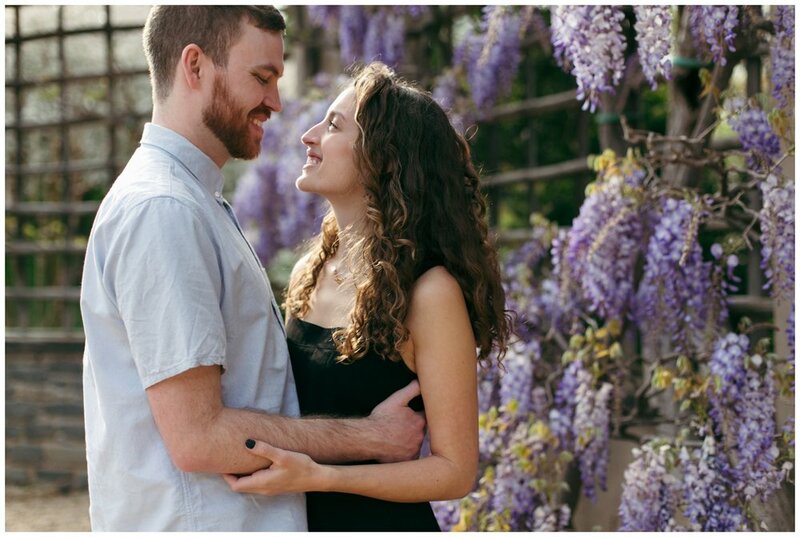 So I just want to start off by saying THANK YOU internet for (re)connecting me to these two!! I know we all have a love/hate relationship with social media and constantly feel the need to be on our phones, and not be present IRL- but in this case, REAL LIFE things are happening! 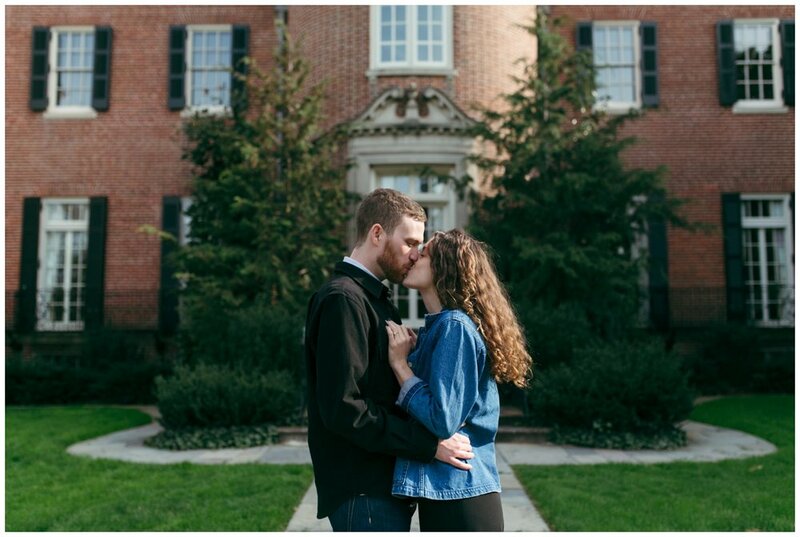 I knew Molly in middle school, and from the magic of the instagram algorithm, she found me and reached out, and I couldn't be more stoked about shooting her and Neil's wedding this coming October! 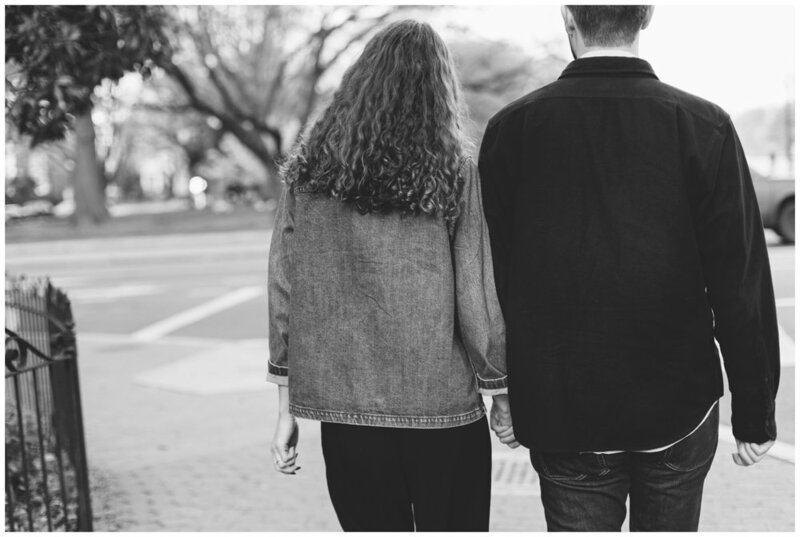 Molly and Neil met in Montana during undergrad, and moved to Washington DC to study and change the world for the better. 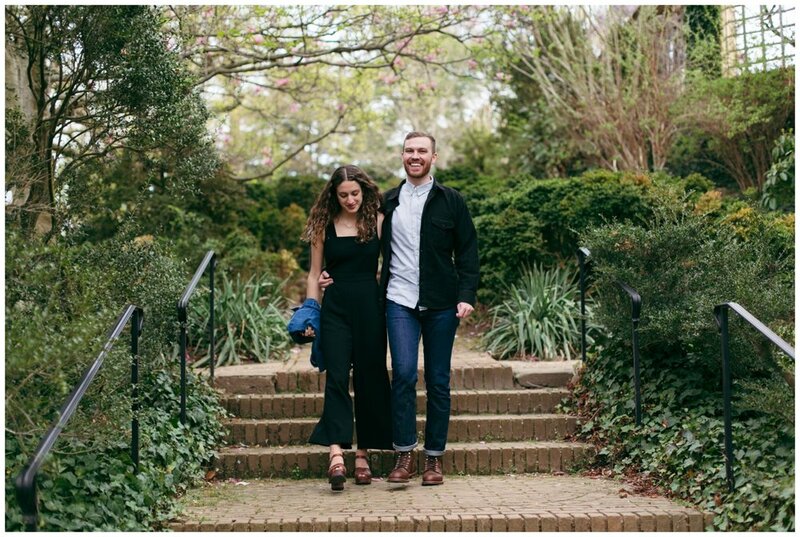 Molly has her masters in environmental science and is currently working on energy policy, and Neil is currently getting his master's in public administration. I couldn't be happier to have these two amazing humans making decisions about the future of our existence here on Earth! 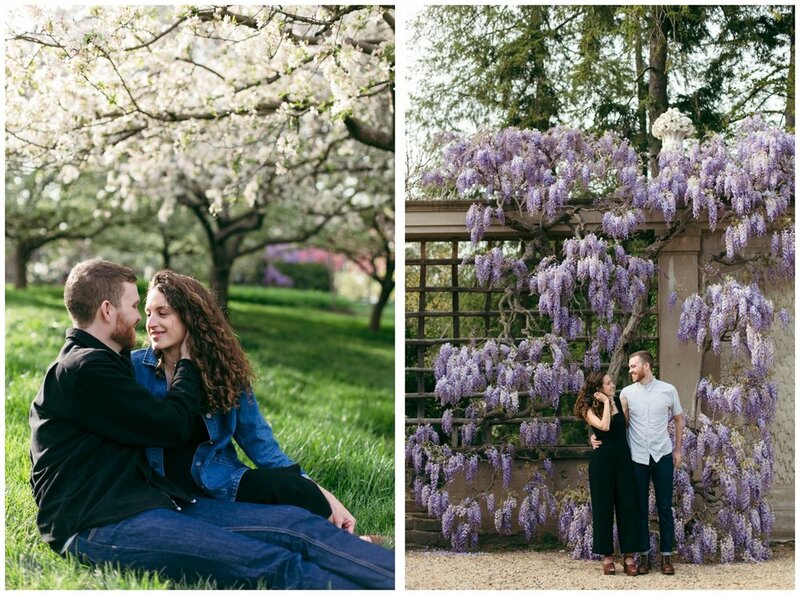 I jumped at the opportunity to meet them down in DC to do an engagement shoot there. 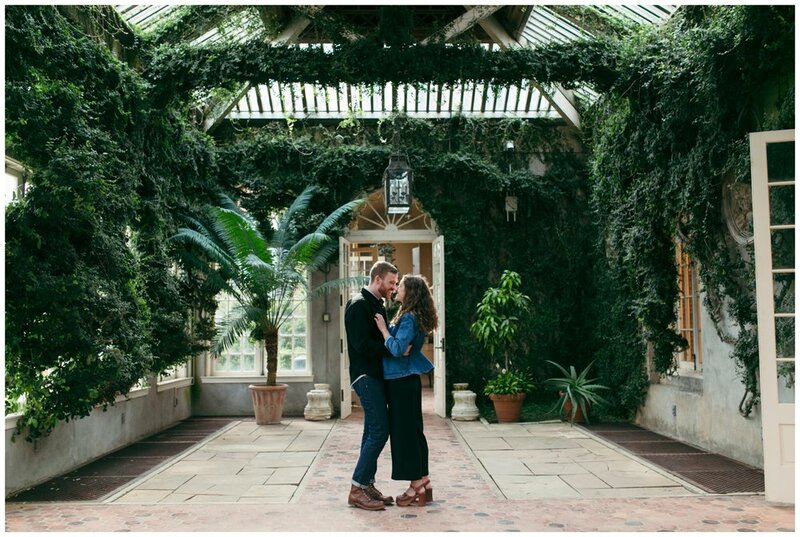 I love exploring places that have special significance to the couple- it makes the photos all the more meaningful. 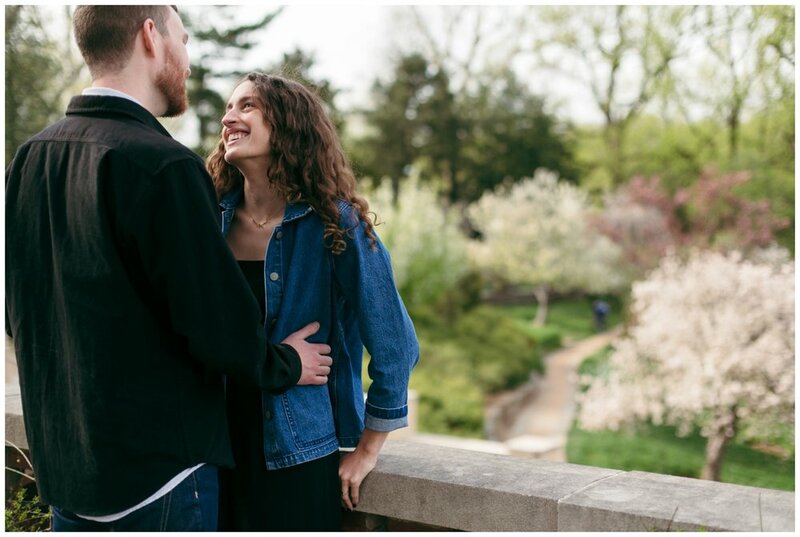 We started off at one of their favorite places to hang out on the weekends: DUMBARTON OAKS, a beautiful estate with immaculately designed gardens. 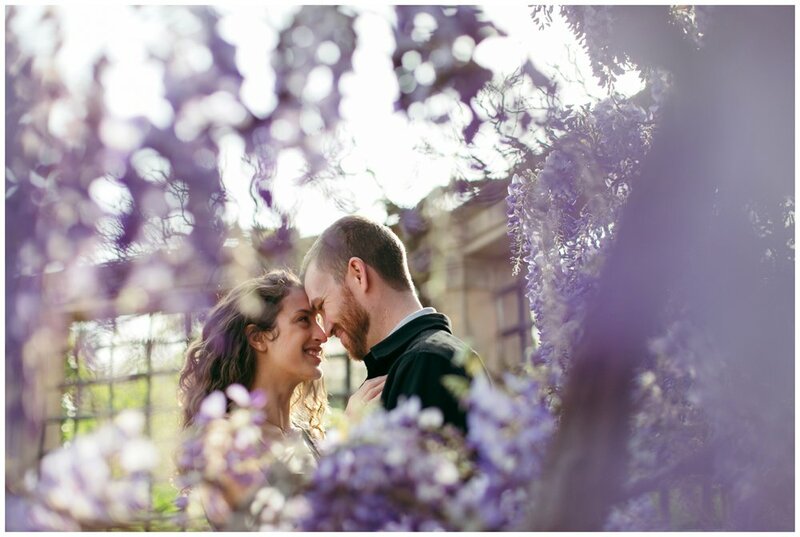 We took our time strolling through the freshly-bloomed flowers, with Molly and Neil giggling the whole time. 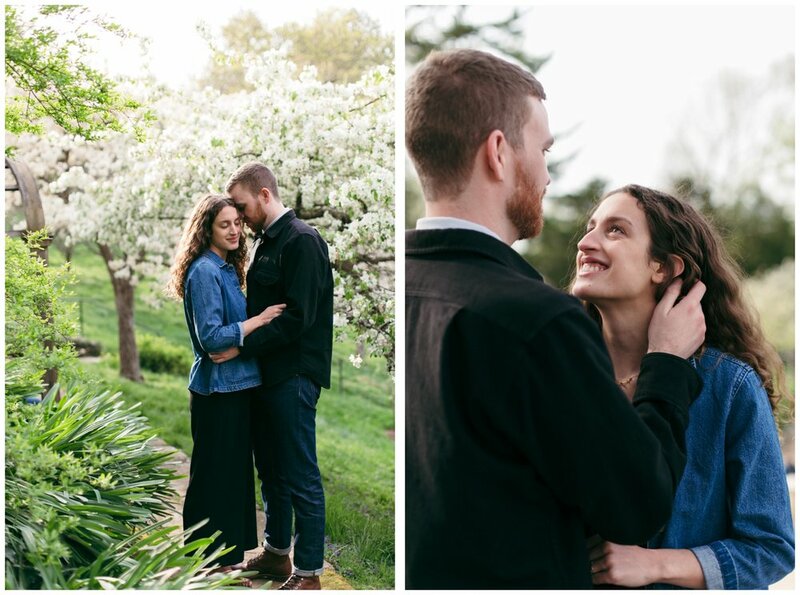 They are madly in love (if you can't tell from the photos) so photographing them was a breeze. They simply enjoyed their time together, and I barely had to give them any guidance. 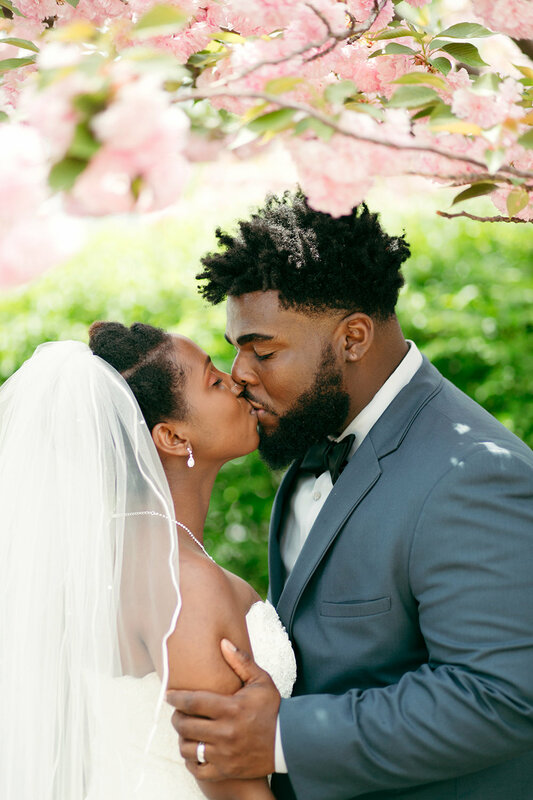 They shared so many intimate moments and romantic gestures, it was hard to put the camera down! Next we took a drive down to CAPITOL HILL, where we walked the streets and pretended that we lived in the iconic row houses. They are both runners, and they used to live in the area so they wanted to follow one of their favorite routes that led to Lincoln Park. They used to stop there to take a break, and watch all the puppies from the neighborhood playing together. As we got there, the sun was just setting, and Molly and Neil sat on a park bench to sit a relax and soak up the last bit of sun while watching the puppies play, like old times. Molly and Neil were so sweet and fun to be around, it felt like we had been friends for years (without that decade-long gap between!) 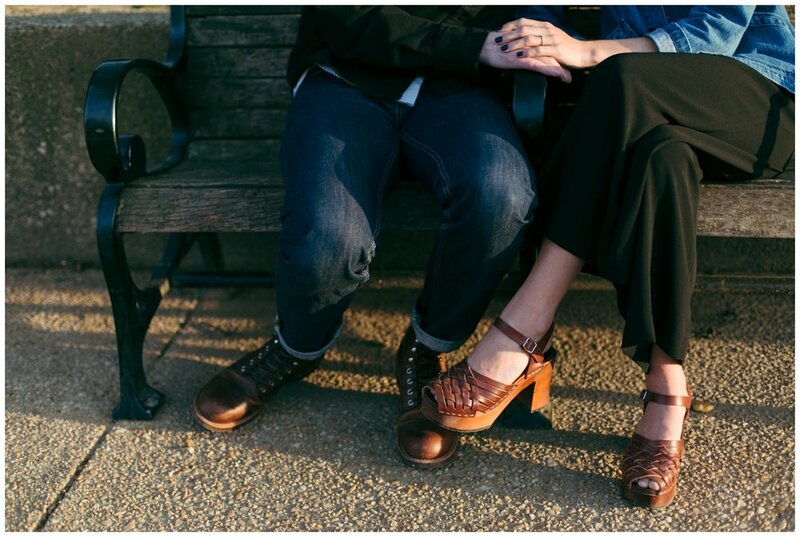 After their engagement session, I cannot wait for their beach wedding this fall! They are traveling up to Connecticut, where Molly and I grew up, and are tying the knot at the same hotel Molly's parents got married at almost 30 years ago to the day! Stay tuned for another blog post of these two- it's going to be a good one!